5.0 颗星，最多 5 颗星Great Buy!Great Buy! 5.0 颗星，最多 5 颗星Great introduction to the study of logic. 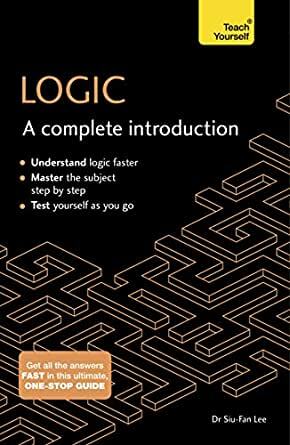 I took a logic course in college many years ago and wanted to bone up on a topic I've always been interested in. This book does a good job of doing that. I recommend it highly. 5.0 颗星，最多 5 颗星An excellent introductory text! The book presents, very clearly, but without neglecting the necessary rigor, all the essential topics for a first course in Logic. I just started reading it. Well written, clear language, easy to understand. Covers the basics well.